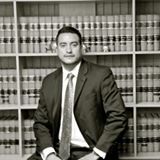 My firm is dedicated to aggressively representing clients in criminal trials and appeals in State and Federal court. We handle simple misdemeanors to the most complex felony cases in Houston, surrounding counties, and across the state of Texas. As a client of ours you can expect the highest level of professional legal services from an experienced Criminal Defense Attorney in Houston. You can expect the very best personal service and attention to your case, and a legal counselor you can trust with your life. My firm has handled hundreds of criminal cases, but each is always treated as if it were the only one. From start to finish, our legal team will guide you and be right by your side. You can expect to always speak with your lawyer, not a secretary. We make life long connections with our clients, and while you may never need another lawyer again in your life, if you ever do, we want to make sure that we’re the only one you’ll ever need to know.